As of today I am formally closing the Methodist Preacher blog and removing nearly five years of posts to the archives. Regular readers will know that I suspended posting in February. At that point it was mainly for professional reasons because I felt that my independent blog could potentially compromise a new assignment. Other opportunities have now opened up that will require my energies to be spent elsewhere. Over the last few months I have in any case re-evaluated my relationship with the Methodist Church. My main reason for being in the Methodist Church was because nearly three decades ago I was accepted at - what I subsequently found - was one of the most unusual and open minded churches in British Methodism. Sadly time moved on, that church changed, and I became part of a handful of people that maintained it as a place of Christian worship against seemingly overwhelming odds. In the last few years I have done much of the "heavy lifting", replacing the roof, renovating the building, and restructuring the finances. This work has been successfully completed and I now feel ready to stand aside to encourage a new leadership to emerge. Meanwhile I find it increasingly difficult to prepare for circuit preaching due to other commitments. By this time next year I do not expect to be on the circuit plan and so therefore feel the blog title "Methodist Preacher" would be increasingly misleading. I am immensely proud of what this blog has achieved. It opened up discussion in British Methodism on a range of topics that previously would never have been aired. 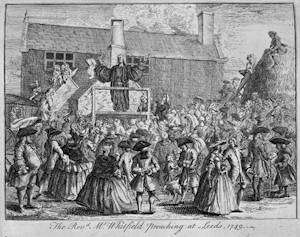 Much of the discussions that were pioneered on Methodist Preacher have now moved to the the UK Methodists page on Facebook. Social media, of which this blog was a pioneer, has had a profoundly positive impact on the Connexion. I have taken up and documented some difficult subjects that have led to robust discussions - British Methodism's compromised relationship with the gambling industry and the role of a Methodist Minister in the Holocaust come to mind. I neither retract those posts nor apologise to anyone for raising these and other issues, hard as this might prove for some individuals. To those who have read the blog over the last five years: thank you and goodbye. God bless you. Thank you, MP - it has been good to debate and discuss, and it is important that here is a forum for the difficult topics. Thank you for your part in exploring the use of social media in our work in the Kingdom of God.